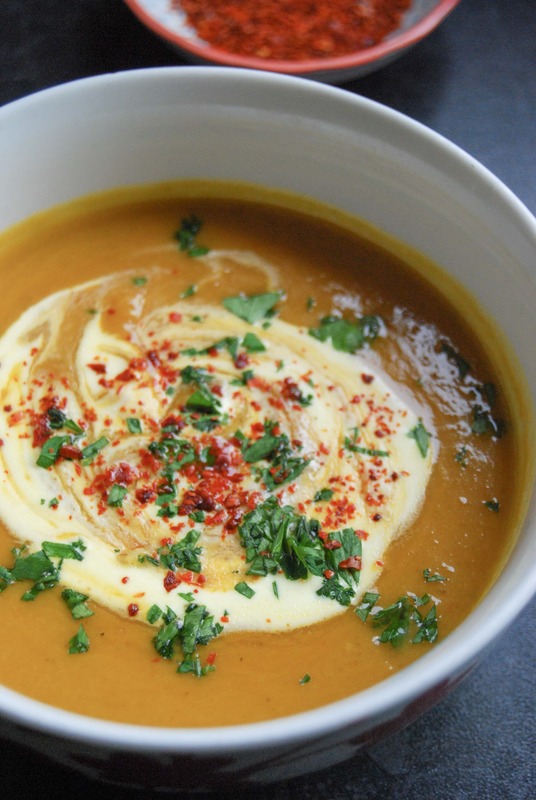 When the weather starts to turn colder, I start to crave simple, nourishing soups. A bowl of homemade soup and some fresh crusty bread is sometimes all I need for dinner. Preheat oven to 200C. Place the butternut squash, sweet potato and onion in a roasting tin. Drizzle over 1 tbsp oil and the ground nutmeg. Place in oven and roast for 45 minutes or until veg is tender. Make up the veg stock. Place the roasted veg in a blender and pour in the stock. (You might have to do this in two batches depending on your blender capacity.) Blend until smooth. Pour back in pan, add the chilli flakes if using and salt/pepper to taste.